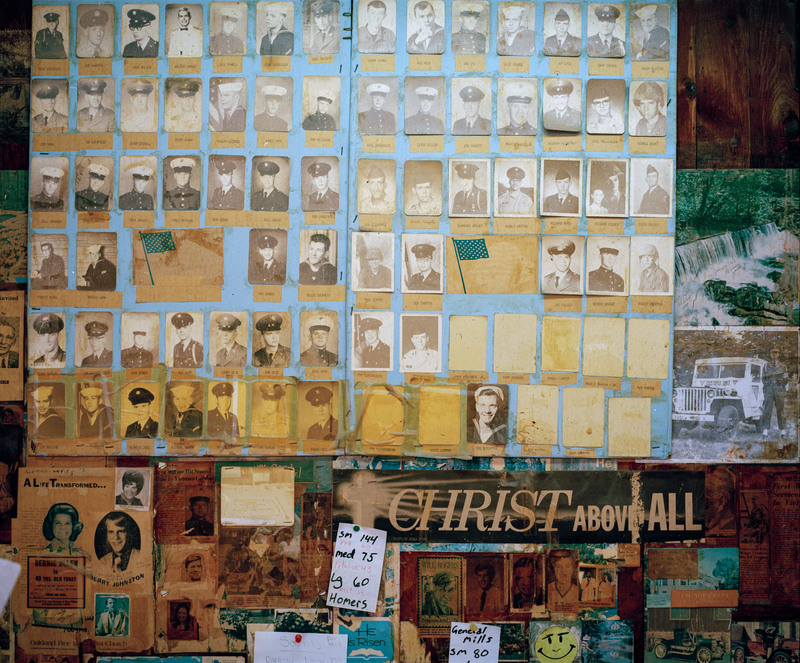 November, Ist, 2008, East Liverpool, Ohio, USA : A wall in the Hall China Company that has many faded images of white service men of all kinds. Rush Limbaugh was on a radio played loudly as this photograph was made. Even though these workers are working class and struggle economically.They vote Republican.